Crestron has come out with a new soundbar for unified communications and collaboration in large meeting rooms. The Flex B100 Series soundbar made its debut this week at Microsoft Ignite 2018. 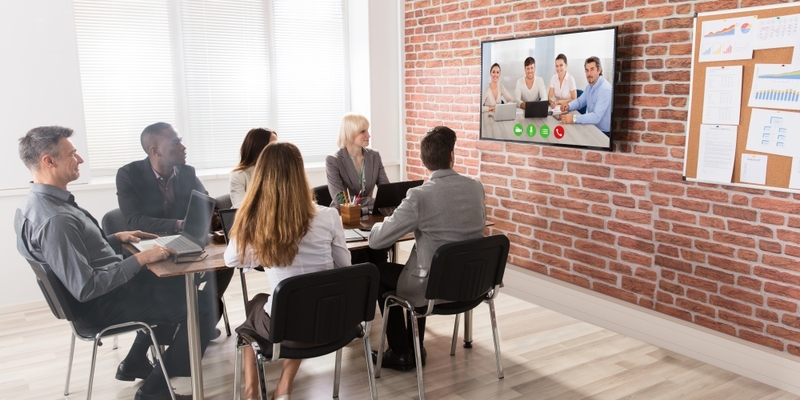 At the event in Orlando, Fla., the company unveiled this wall-mount solution, which has native Microsoft Teams and Skype for Business functionality. This front-of-the-room solution includes a beam-forming microphone array so it can capture audio from any person anywhere in the room. And it distributes that sound clearly and crisply, according to Crestron. Users of this solution will also be able to avoid the table clutter of surface-sitting audio systems. But the Flex B100 Series does more than just audio. It also has an embedded Huddly IQ videconferencing camera. Developed in partnership with Intel, this solution features 4K digital auto zoom, people counting capability, and an ultra-wide viewing angle to capture all participants without distortion. And Creston said it’s taken care to make this solution easy to setup (there’s no configuration involved) and simple to use. “Our goal with our new Flex Unified Communication and Collaboration series is to make working and using technology a seamless experience, and not an additional hindrance for employees or a company’s IT department,” said Ted Colton, Vice President of Unified Communications at Crestron. Creston builds and integrates technology. That includes business communications offerings like the Flex B100 Series solution, as well as automation and control solutions related to climate control, lighting, shading, security, and more for business and residential use. In other news out of Microsoft Ignite this week, Adobe, Microsoft, and SAP leaders introduced the Open Data Initiative, which aims to eliminate data silos and enable a single view of the customer.